Train bosses’ plans to upgrade a busy north-east station have been dealt a major blow after planners rejected their proposals. It comes just weeks after a similar application for another station was thrown out. 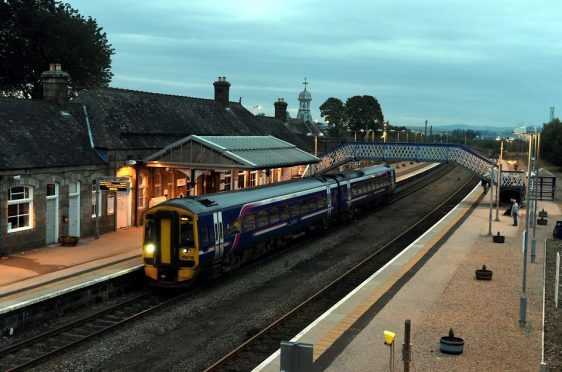 Scotrail was seeking to modernise the facilities at the B-listed Inverurie station and had applied for consent with Aberdeenshire Council. The rail operator wanted to refurbish the disabled toilets, replace platform seating and build two new shelters. The station is popular with commuters and shoppers making their way into Aberdeen and has been developed in recent years to reflect that. After reviewing the proposals, however, council planners decided the designs put forward were not of sufficient quality and the shelters were not in keeping with the rest of the building. The structures, which would have been 20ft wide and 8ft tall, would have been largely made of stainless steel. A formal decision – written by Richard Gray, the authority’s head of planning and building standards – is available on the council’s website. Mr Gray wrote that the shelters were “not distinctive, nor display any local identity through the aesthetics of the design features and elements”. therefore not comply with policy”. The improvements would have been the latest stage in the station’s revamp, after its car park was extended in 2017 to include 36 new spaces. Earlier this month the council denied the firm’s application to refurbish a waiting room, disabled toilets and add more seats at Stonehaven station. However planners said the work had been designed for “cost effectiveness and ease of future maintenance” and ignored the “high quality of design” required at a B-listed building.